I’m so excited to open the door of our home today and show you our little farmhouse entryway makeover. Last week I was shopping for home decor accessories when I came across this adorable farmhouse style hall tree HERE. It was love at first sight and as soon as I posted a picture of it on my Instagram many of my readers asked me where I found it. Today I’m sharing my new entryway decor and where you can shop for this affordable look! I really like how versatile this hall tree is and how I can change the accessories depending on the season we are in. I can already picture how our farmhouse entryway is going to look for Christmas! I personally love decorating with neutral and earthy accessories, like baskets, plants, and organic fabrics. A good way to bring color and texture into any space is by using plants. 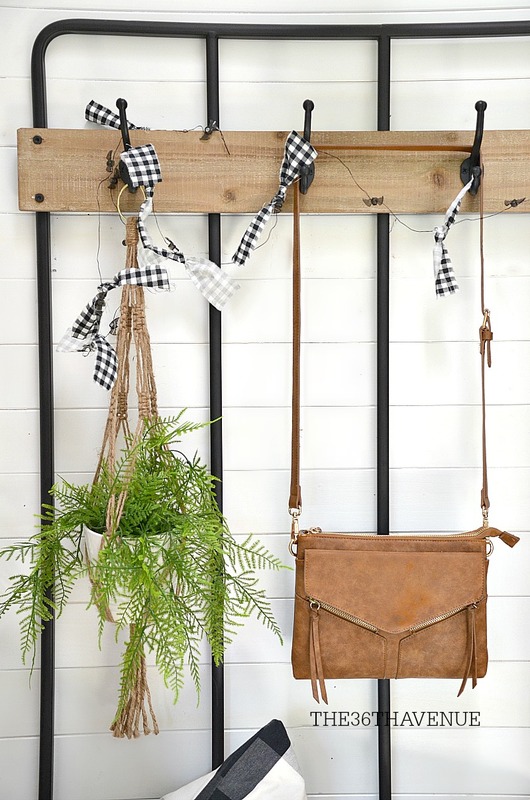 Plant hangers are a great way to display greenery in small places like this! 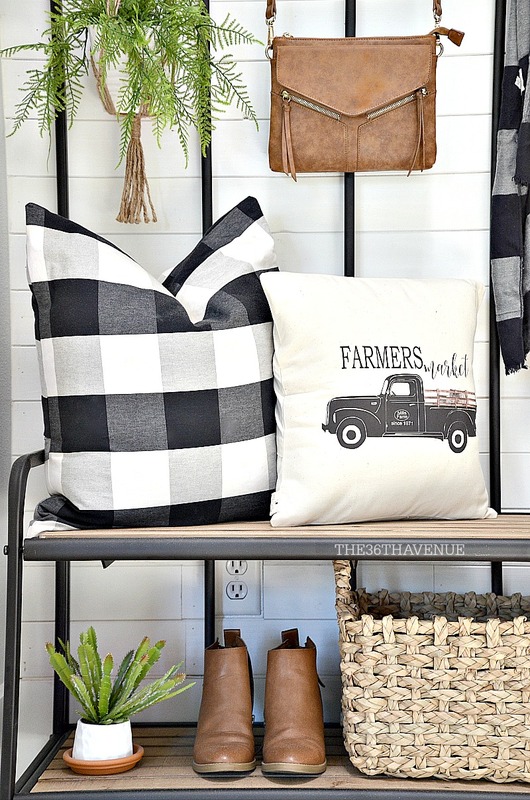 White and black buffalo checker plaid is one of my favorite patterns! 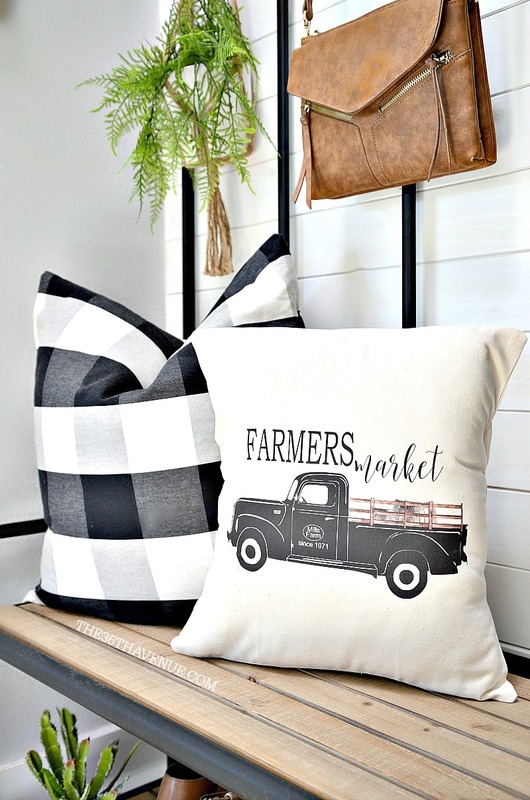 I got this cute pillow and this other adorable farmers market pillow that I found at Etsy to add texture and a personal touch to our entryway. 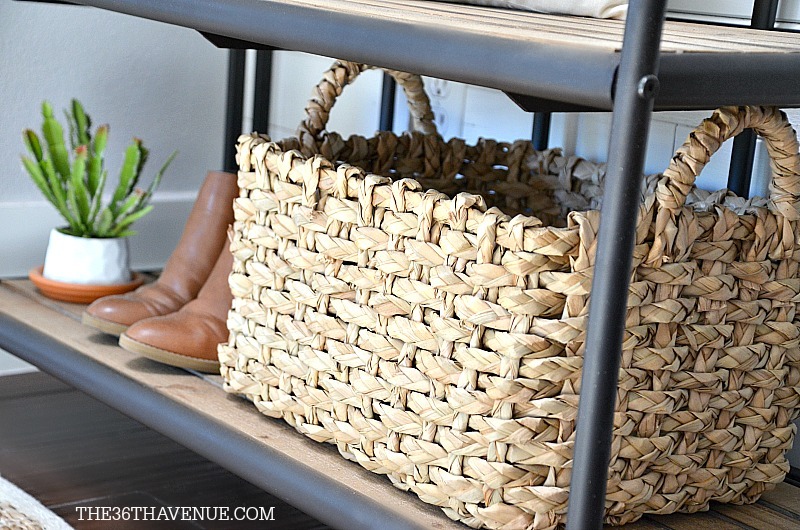 To finish the look I used a basket – Are you like me, alway looking for additional ways to have extra storage? There is never enough! I had so much fun putting this little corner of our house together and it makes me happy to see our farmhouse entryway every time I open the door! 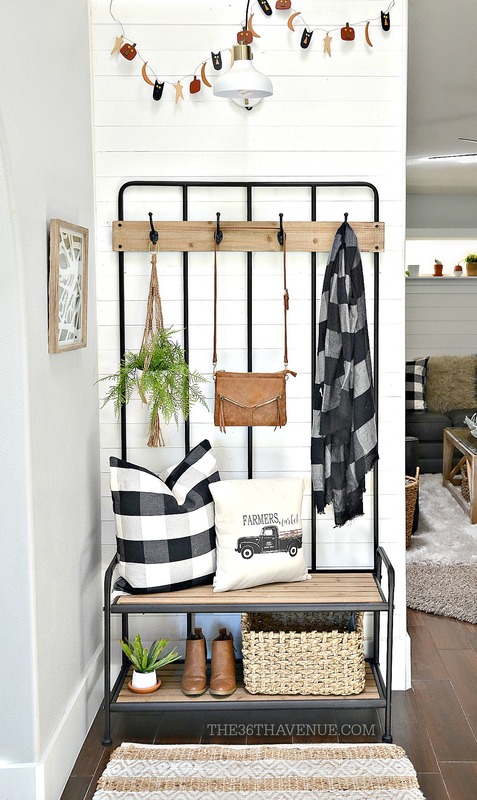 If you like this farmhouse entryway decor and you want to get this look click the links below! 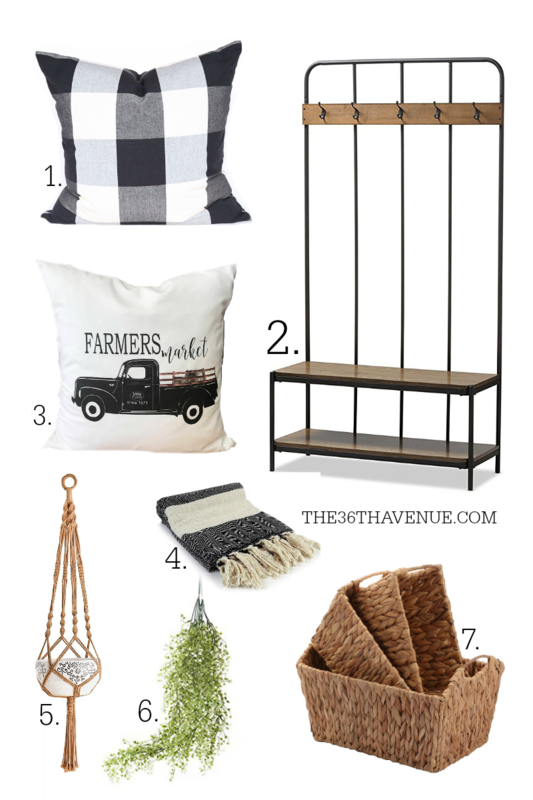 Here are some other farmhouse decor ideas that I love! I love the combination of black, white, and natural wood so for our master bedroom decor I used these colors and pieces to create a warm and charming farmhouse style bedroom. I can’t wait for you to see it all and take a tour! I have always dreamed of having a farmhouse and I’ve always hoped to live the country life one day. I have to confess that I have spent hours and hours pinning farmhouse kitchens, bathrooms, and farmhouse decor ideas over the years . There is something about the mountains, rivers, fresh air, and farmland that speaks to my soul. After all of these years I’m so happy to say that this dream of mine has come true.